A trusted and familiar payment solution which allows customers to use one familiar login to identify themselves and transact on your site. 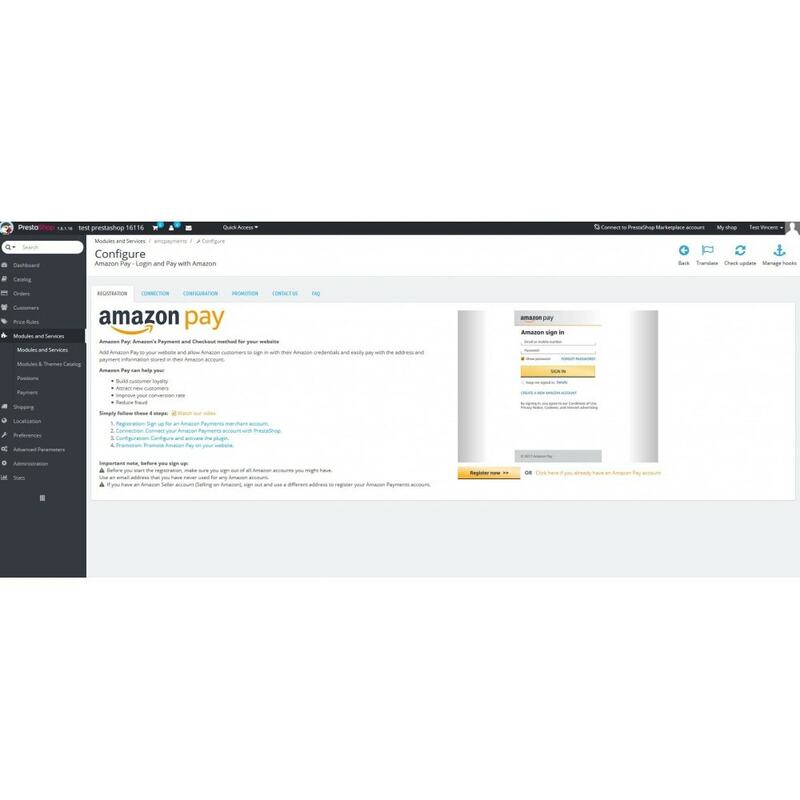 Amazon Pay can help you build, maintain loyal customers and as a result increase your sales. 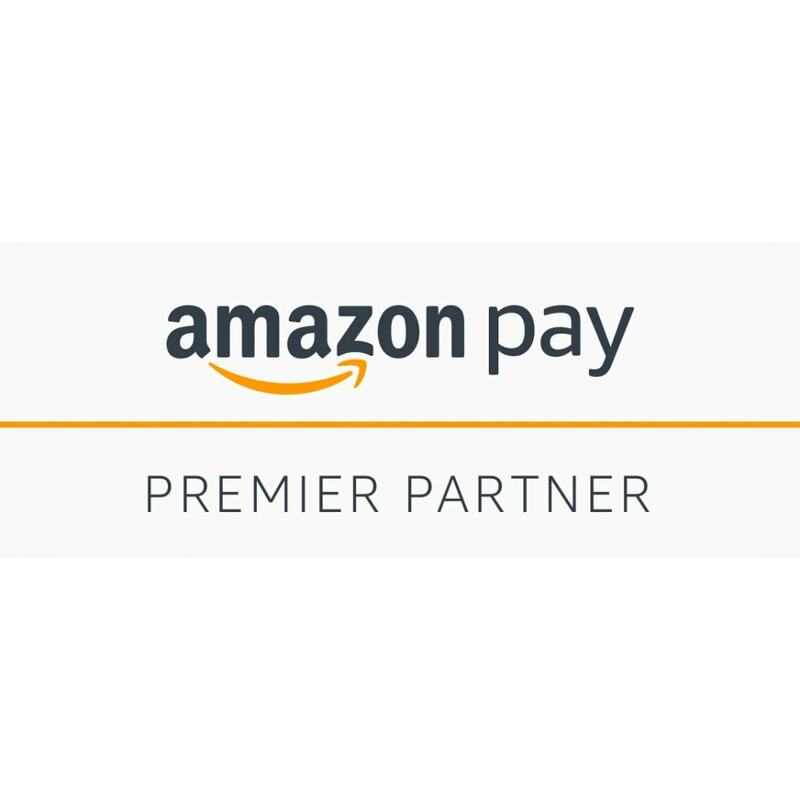 Sign-up now for Amazon Pay! "We've found that customers who use Amazon Pay convert 14% better than customers who use cards." Sign-up for Amazon Pay and provide documents for your account verification in the Seller Central account*. Click on the Download button, configure, activate and test the plugin. Advertise Amazon Pay using items from Amazon Pay’s own Marketing Guide (link to our marketing guide). * Please use an email address that you have never used for another Amazon account. You will be informed by email once your account has been verified. Founded in 2007, patworx multimedia is a family-run web & development agency based in Bamberg, Germany. We accompany your project and are your partner for individual and professional solutions. Due to the certification by PrestaShop and regular participations in further training we can guarantee high standards, quality and security.